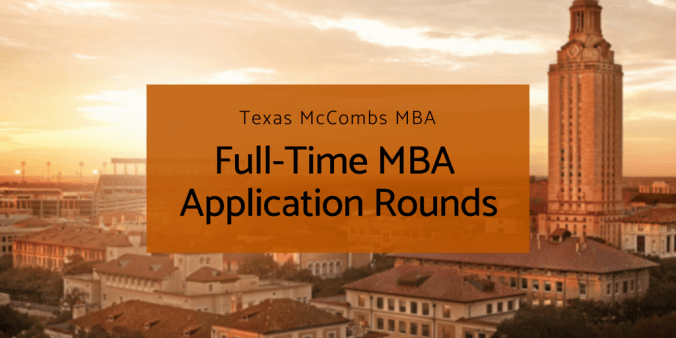 August 16, 2018 / Texas McCombs MBA / Comments Off on When is the Best Time to Submit Your MBA Application? The 2018-2019 Full-Time MBA application is open and the Admissions Committee is accepting applications in three rounds. We receive a lot of questions about our application deadlines. Namely, new applicants want to know whether or not it matters when you submit your application– Round 1, 2, or 3? It is our priority scholarship deadline– If you want to be considered for any of our merit-based scholarships, Round 1 is your best shot. As each round passes, our scholarship funding pool decreases. All of our spots are still available! Plus, historically we’ve received fewer applications in R1 than in R2. But, the best piece of advice for any round is that you should NEVER rush to submit your MBA application simply to take advantage of there being “more spots.” Once you submit your application, you cannot “re-submit” a stronger application in a later round for the same term of entry. If you skip important preparation, like taking a formal GMAT prep class, just to be able to submit in Round 1, you could end with a test score you aren’t happy with. 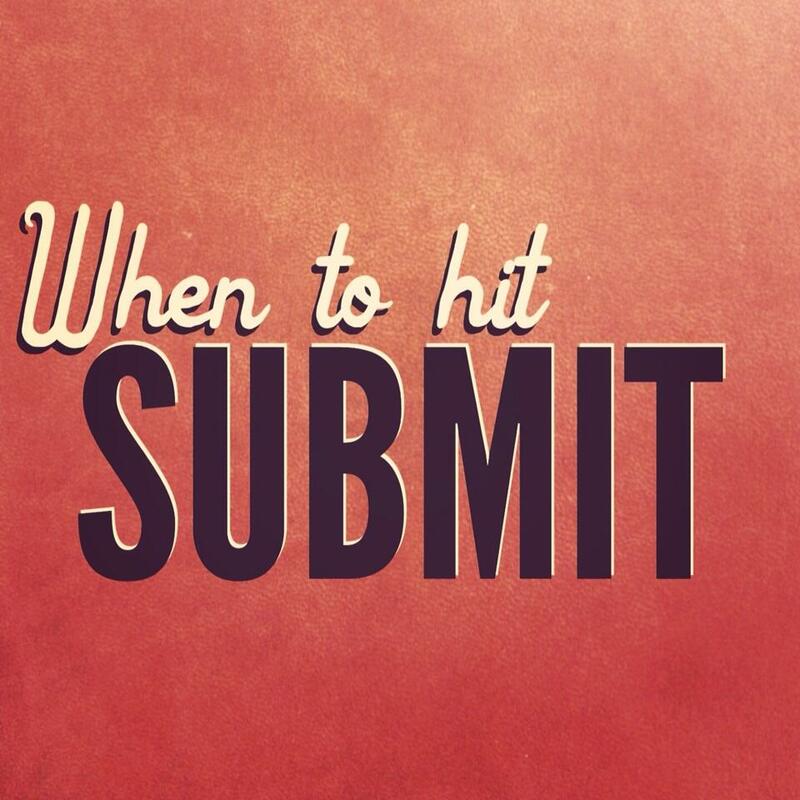 In this case, submitting in Round 1 might not be a good idea, especially if you know that you can improve your score. Waiting to apply until all aspects of your application are strong is the best approach. Applying later is okay, too! If we had filled up the class in Round 1, the Admissions Committee might be out of a job by February. Round 2 is traditionally our largest round, and we receive many strong applicants in Round 2. In short: A strong application will stand out in any round. Round 3 tends to be our smallest round. Many applicants in Round 3 simply didn’t realize that they were interested in an MBA until later in the application cycle. Historically, we’ve always had spots available in Round 3 (which is why we have a Round 3), but each year it varies as to how many. But, remember– A strong application always stands out. It’s also worth noting that international students can apply in ANY round – including Round 3. Submit your application only when you’re 100% ready. Supplemental application materials submitted after a round deadline are risky, because there is no guarantee that the Admissions Committee will see them. Once your file has been read, we will not review again based upon new information received post-deadline. Don’t wait until the last minute! We are not able to accept applications submitted after 11:59pm CST on the day of the deadline. Technical difficulties plague unfortunate applicants in every round, every year. Stay ahead of deadlines the best you can, so you don’t become a cautionary tale. In the interest of a fair process, we don’t make exceptions on our deadlines, no matter what reason you have for late submission. Alternatively, if you are early, be patient. The Admissions Committee does not begin reviewing applications until the round deadline has passed. In other words, you might be far ahead and submit your application in August, but we won’t begin reviewing any submissions until after the Round 1 deadline in October. The Admissions Committee does not provide individual feedback, out of fairness to all applicants and due to the volume of requests we receive. If you feel good about your application, we encourage you to apply. But, if you aren’t ready yet (i.e. 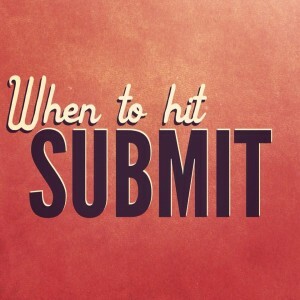 : You need to retake your GMAT/GRE, rework your essay, or wait for a promotion at work to come through), don’t risk it– wait until you’re confident in your application before hitting the “Submit” button. We look forward to reviewing your application, and are always here to answer your questions about applying. Hook ’em!